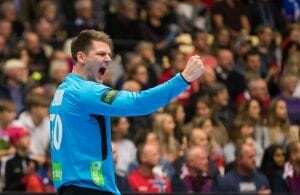 Norway are back on track in the EHF Euro 2018. After a convincing triumph 17-31 against Czech Republic, the commanded by Thorir Hergeirsson are on the main round, but will have a key battle against Romania on Wednesday. It was not easy for Norway, coming into this game after the loss against Germany. As team captain Stine Oftedal would mention after last night’s victory, “it was pretty hard mentally to change” for this match. However, it was no long until the commanded by Thorir Hergeirsson got back to their shape and advanced against a Czech team that couldn’t find the way through a much tighter defense than that of the opening match. While the first minutes were sort of head-to-head, with a small 3 goal difference, the Norwegians were finding their way to their rivals’ goal mainly with the connections with the pivot. Kari Brattsett and tireless Heidi Løke would score a total of 8 times on the first half and contributed to Norway’s bulky result after the that period (10-20). Meanwhile, the Czechs were unable to break through the defense, and when they did, they would find an unsurpassable Katrine Lunde who saved an impressive 8 out of 17 shots for a 47% save rate. On the second half the Scandinavians would only increase the goal difference. This gave Hergeirsson time to rotate the squad, possibly thinking of the upcoming and decisive match against Romania. Løke was named best player of the match and was the top scorer along with Malin Aune, both with 6 goals. 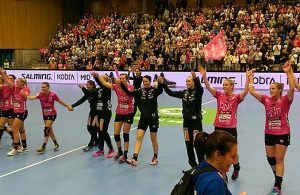 Captain Stine Oftedal’s impressions after the match were definitely much possitive than those after the first match: “Last match we struggled a lot with being aggresive enough and by just being enough up to speed in defense, and today we managed to change that. We worked really hard, it was pretty hard mentally to change all of that, but I’m very satisfied about what we showed today”. Győr’s playmaker, who was named best player against Germany, despite the loss, explained that she’s now fully fit after some experiencing some pains that kept her outside of the court on the preparations leading up to the EHF Euro: “It’s been a little troubled for me coming into this tournament, but right now I feel very fit. Maybe I tried to take a little extra care, but I feel 100% fit now. Right now, no symptoms, nothing, I’m very happy and so ready for what’s coming”. And what’s coming up next is nothing less than the decisive match against Romania. A victory will give Norway some hope coming into the main round, as taking points to Nancy would be vital for the semifinal chances. Regarding the upcoming match, Oftedal said: “It’s gonna be so tough, it’s gonna be like a battle from beginning to end I think the team who stands best in that battle, the one who’s most aggresive and willing to give the most, that’s the one that’s gonna win. I think the defense will be key, of course we need to score as well, but when the defense is good that’s a very good starting point so that’s what we’re gonna keep on focusing on”.